As we left Valdivia on the coach for our next destination, Pucón, we were excited. 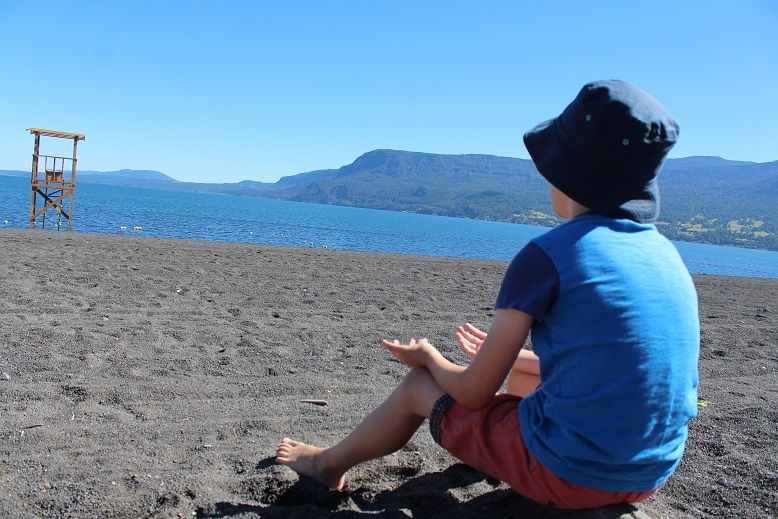 Situated on the banks of Lake Villarrica, Pucón is a tourist town in the Chilean Lake District overlooked by the impressive Villarrica volcano. 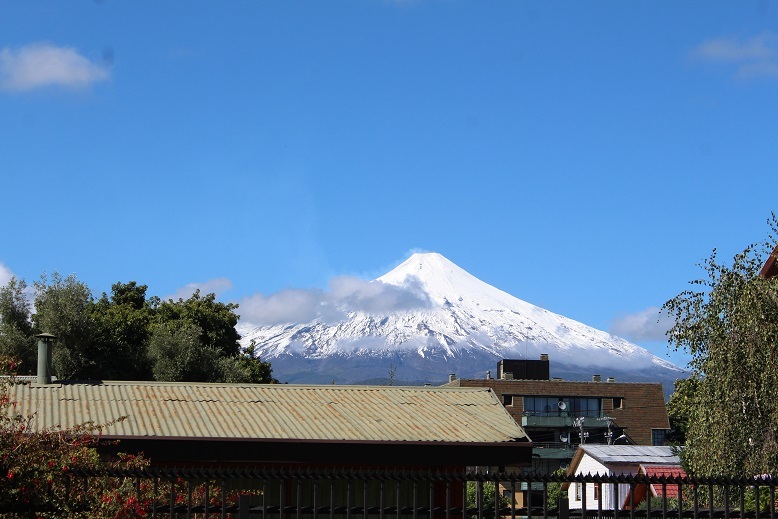 In fact, Pucón was the first place we had been to where there were volcano evacuation signs around town! The volcano is a big draw as many people take tours to ascend the volcano, catching a view of the lava inside before sliding down the snowy side with an ice pick to use as a brake! 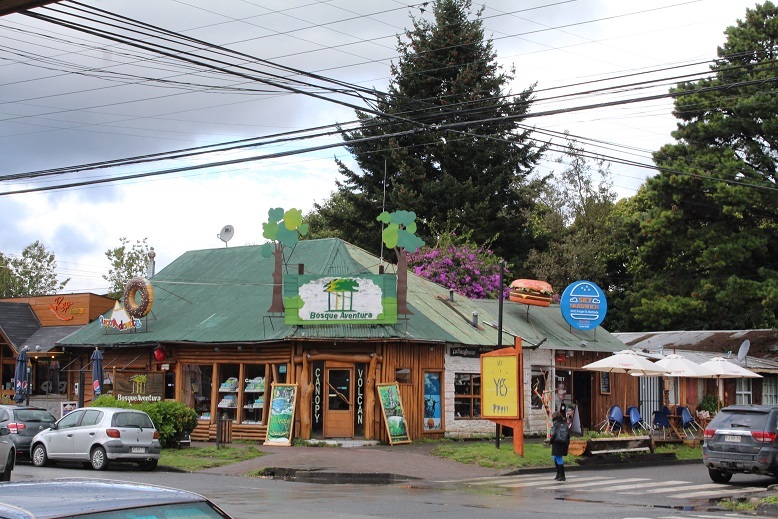 There are other attractions that we had heard about from other tourists while in Puerto Varas from horseback riding, zip-lines and natural hot springs. For us though the weather had other plans. It was gloomy when we arrived and took the short walk to find our guesthouse, Hostal Carmen. We were met by the lovely lady who runs the guesthouse and shown to our little apartment. It was a cosy setting with a small lounge, kitchen, bathroom and two bedrooms. We immediately felt at home and chilled out for the first afternoon. The following day was full of sunshine and good company. The friends we had made on the Navimag ferry were also in town and we met up for lunch before heading to the lakeside beach. The lake water was very cold but the kids had fun playing in the sand while the adults chatted. Our daughter was taken out on a jet-ski by one of our friends before we all headed back to our apartment for a cup of tea! If every day was as glorious as that day I am sure we would have done a lot more in Pucón. However, the remaining days of the one week we had booked were filled with rain. With the heavens opening daily, and the apartment we had at Hostal Carmen being so cosy we took the time to just relax inside. 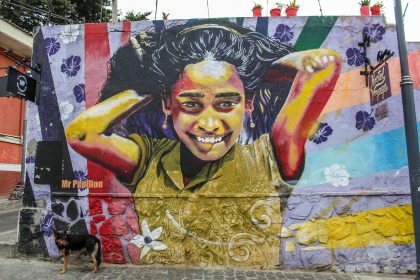 When the rain eased we would venture into the pretty town with its wide streets and welcoming restaurants, or maybe to the lakefront beach for a play but nothing more. Pucon has lovely wide streets and welcoming restaurants in wooden buildings. Not doing much in a town famous for its multitude of activities seemed odd at first, however one thing we learnt while travelling long term is that sometimes you just need to take a time-out from sightseeing, or activities and relax. So it was that by the end of the week we had not done much in Pucón and we didn’t really care. Instead we spent the time deciding what route our travels would take next. We booked an overnight coach back to Santiago (where our South American adventure had started). 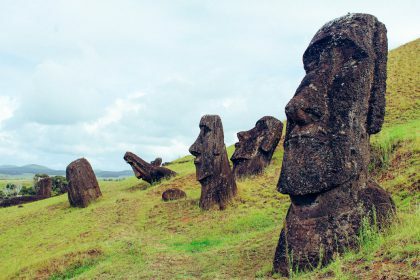 Dad had wanted to take the family to Easter Island however there were not enough seats so he would be jetting off on his own once he had Mum and the kids settled into an AirBnB apartment with a pool in the city. The coach wasn’t too bad a ride but Mum and Dad were still very tired when they checked into the Casagrande Mini Hotel for one night. Luckily the room was ready at 8:00am and they could have a rest while the kids watched TV. Later that day we headed out to the Bellavista neighbourhood again before letting the kids play about in a park. The following day we took a taxi to our AirBnB apartment. It was a bit smaller than we had anticipated but it had a swimming pool, TV and internet. We knew the area and it was close to a couple of parks and museums so Mum should be okay entertaining the kids. 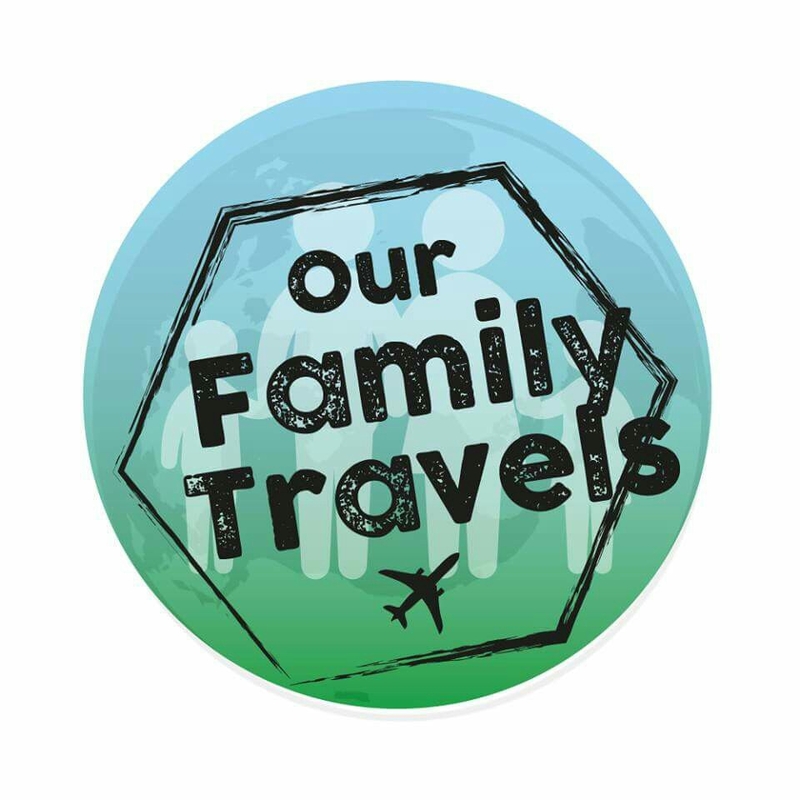 For the first time on the trip the family would split up for a few days. 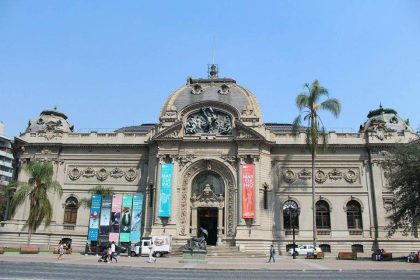 Dad left early in the morning for the airport to catch his flight to Rapa Nui while Mum stayed in Santiago with the children….